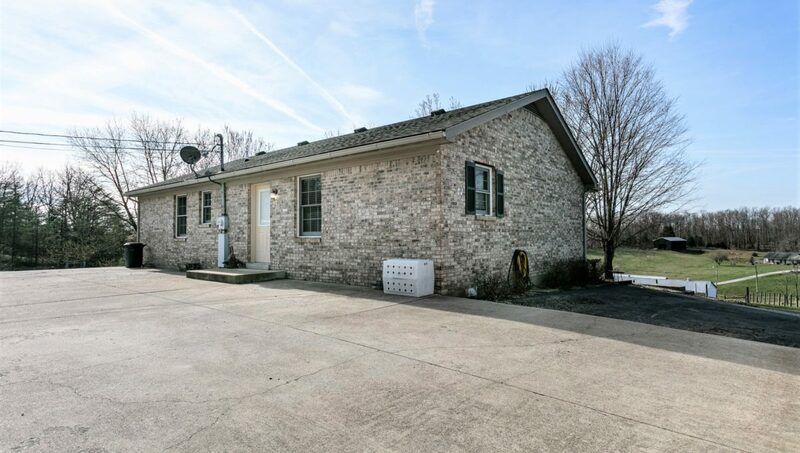 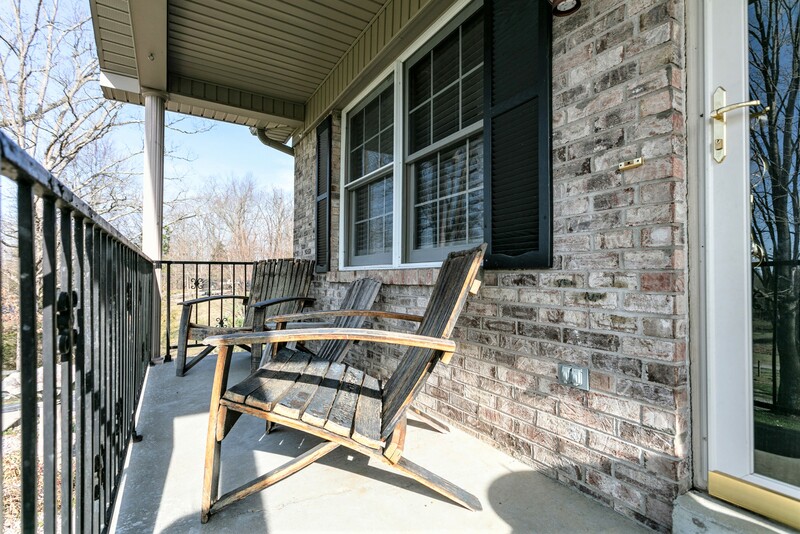 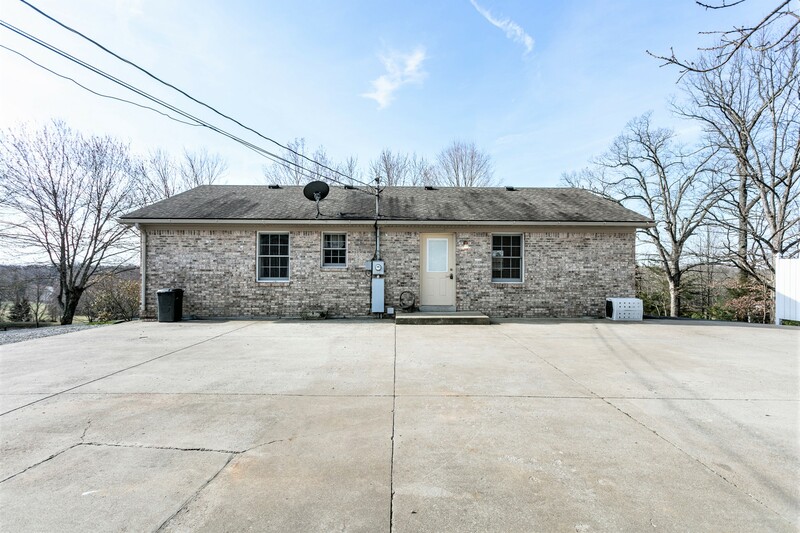 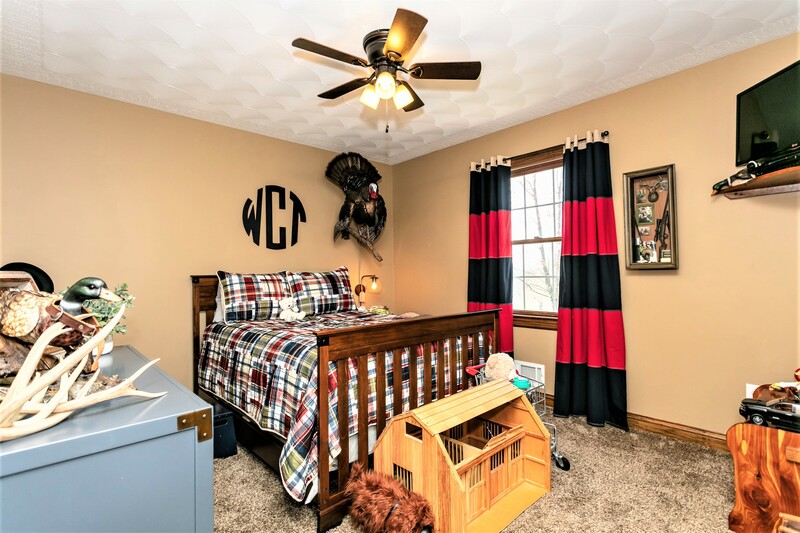 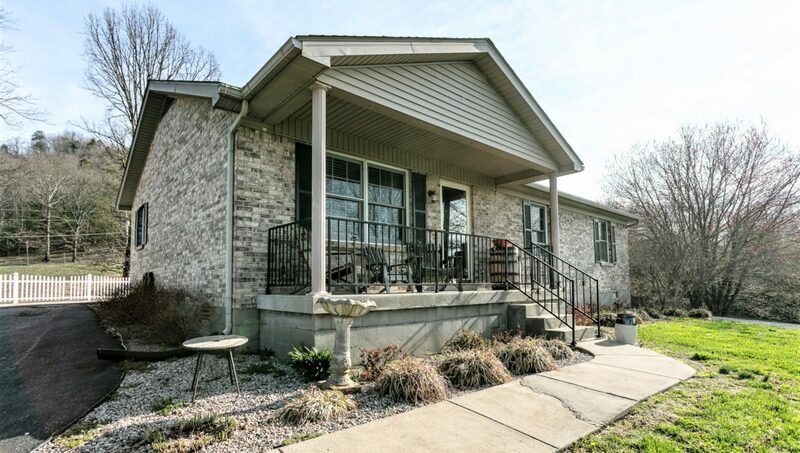 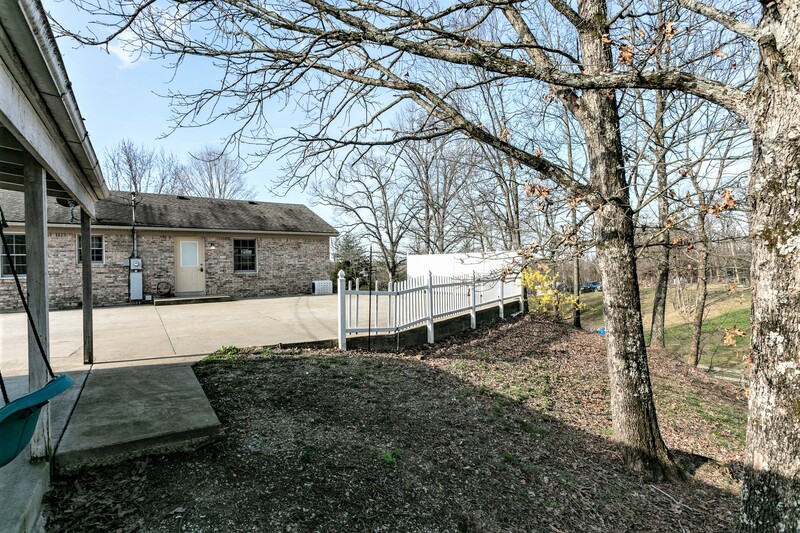 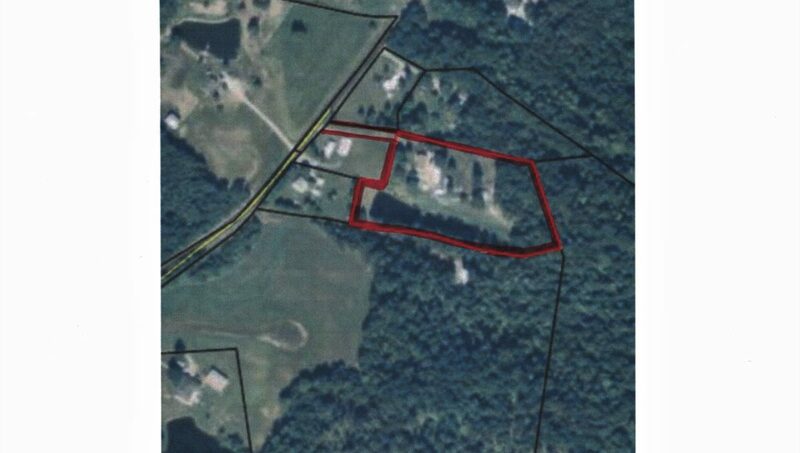 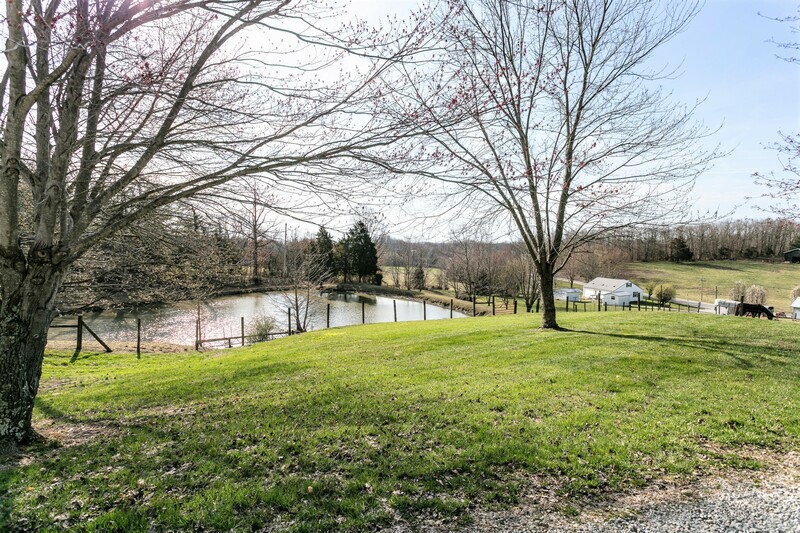 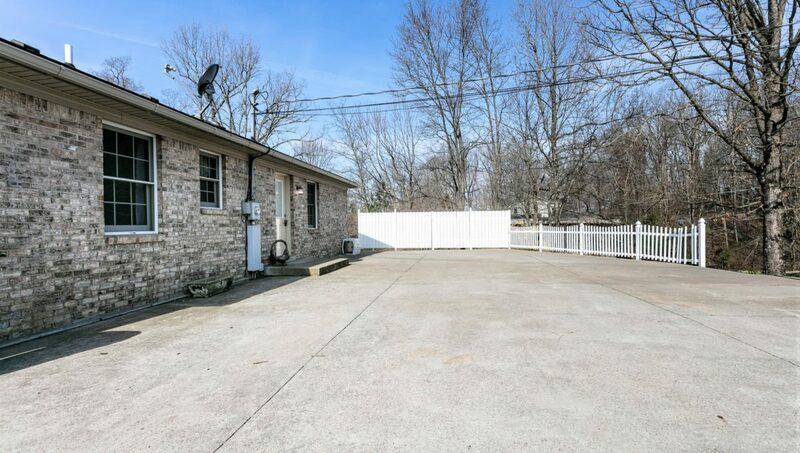 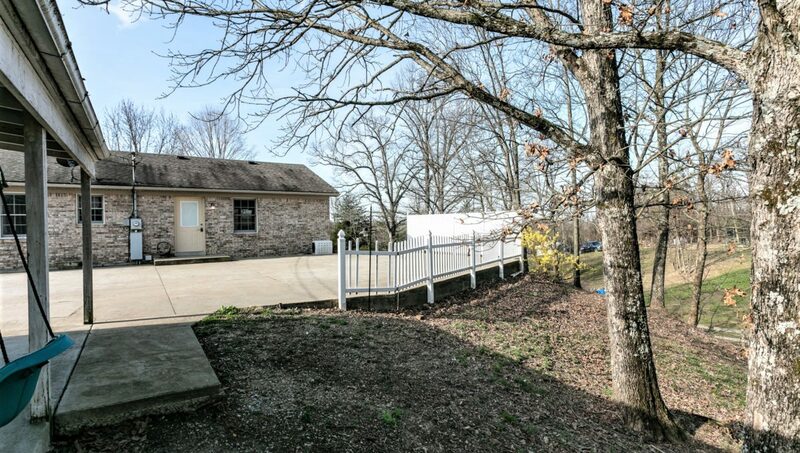 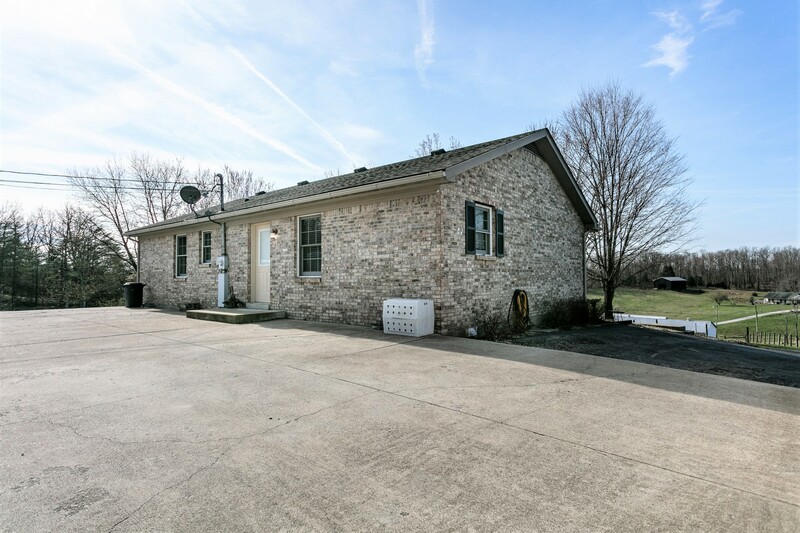 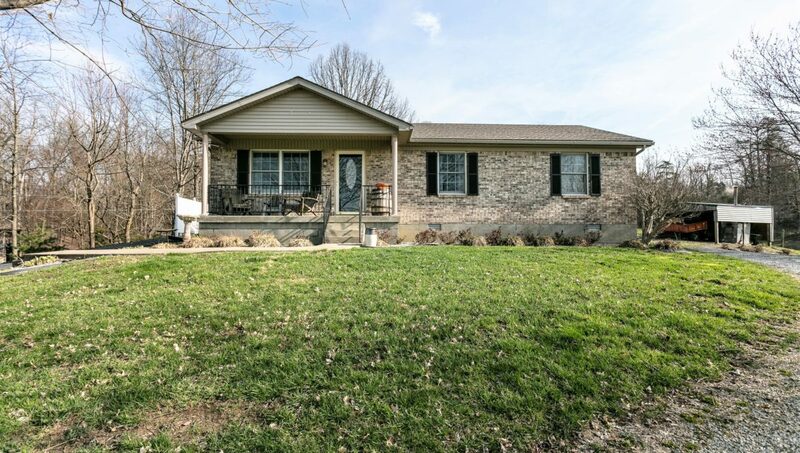 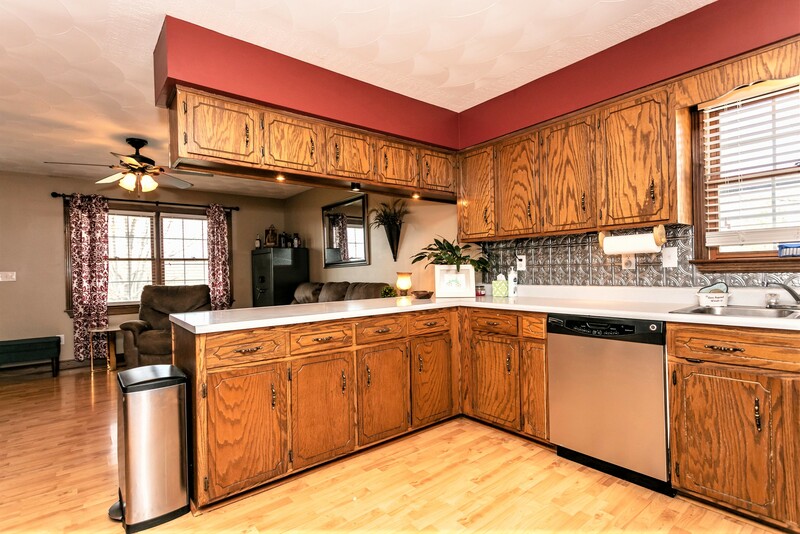 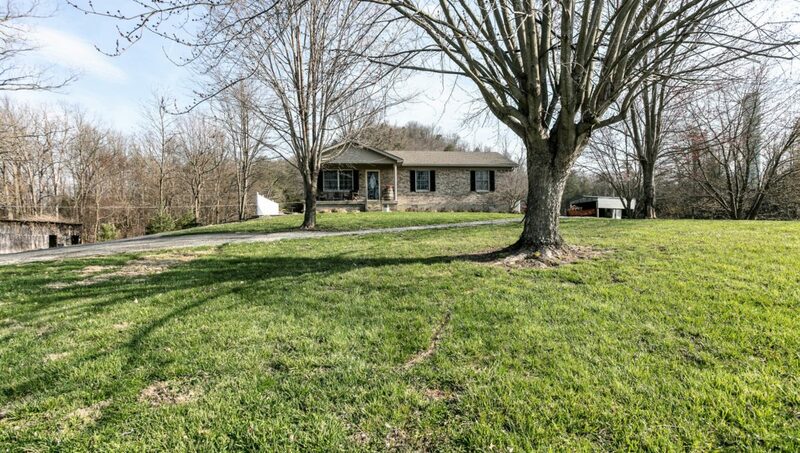 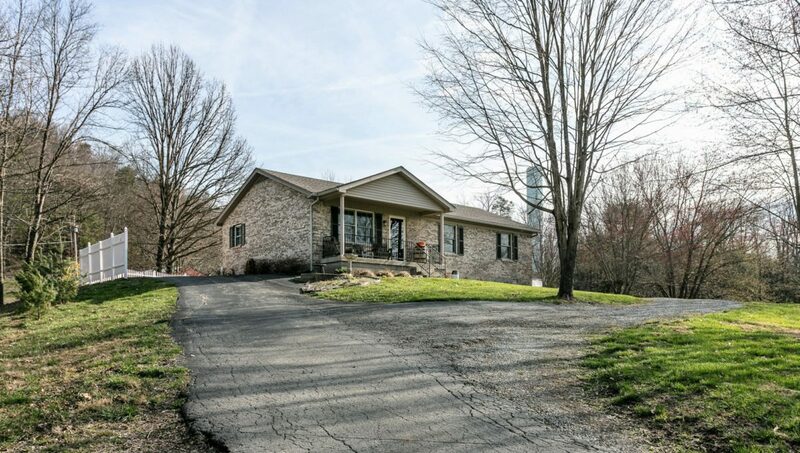 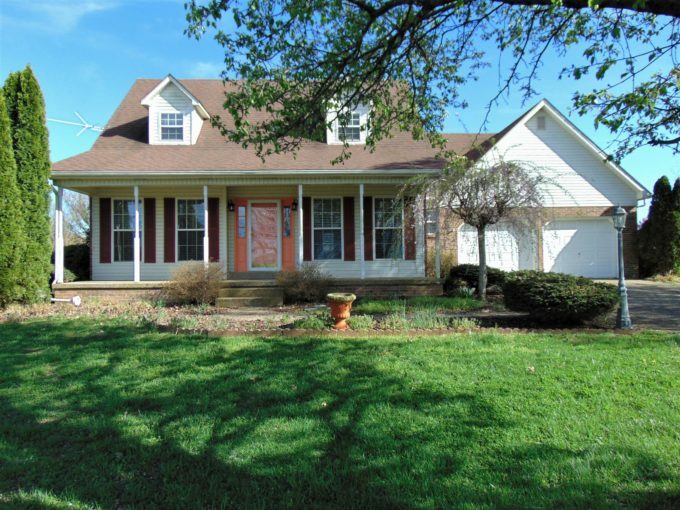 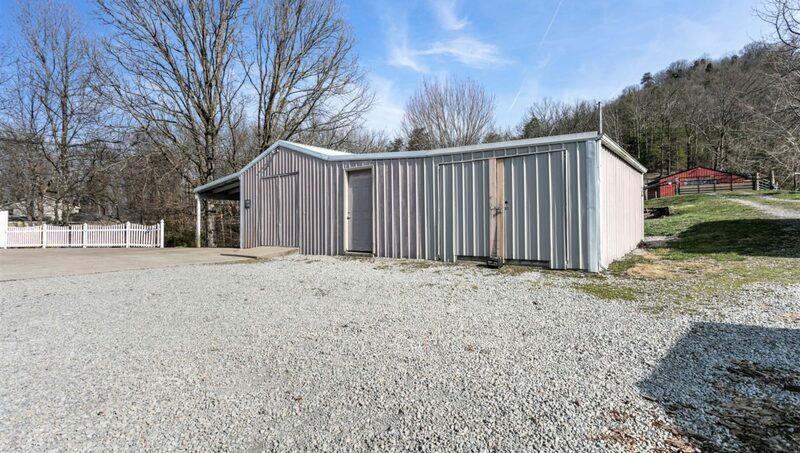 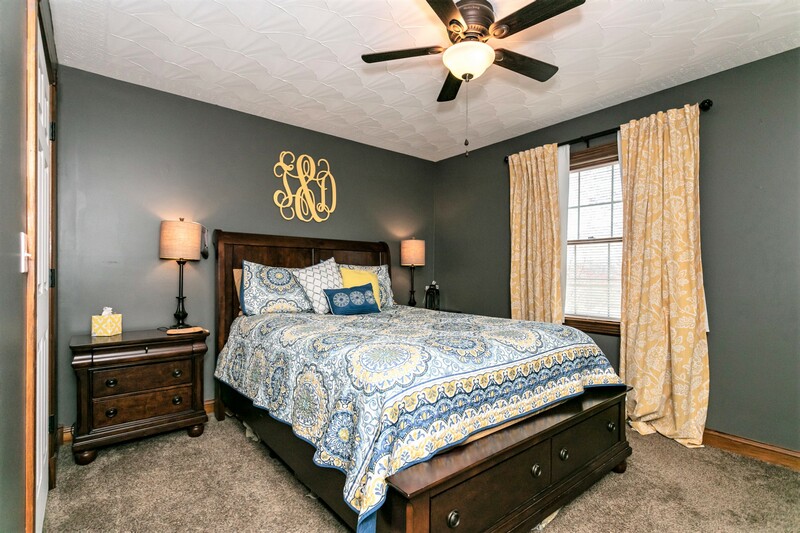 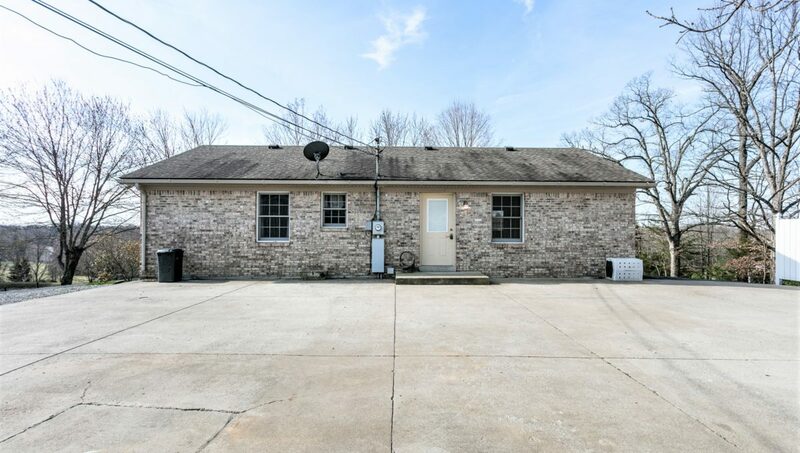 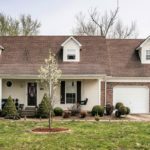 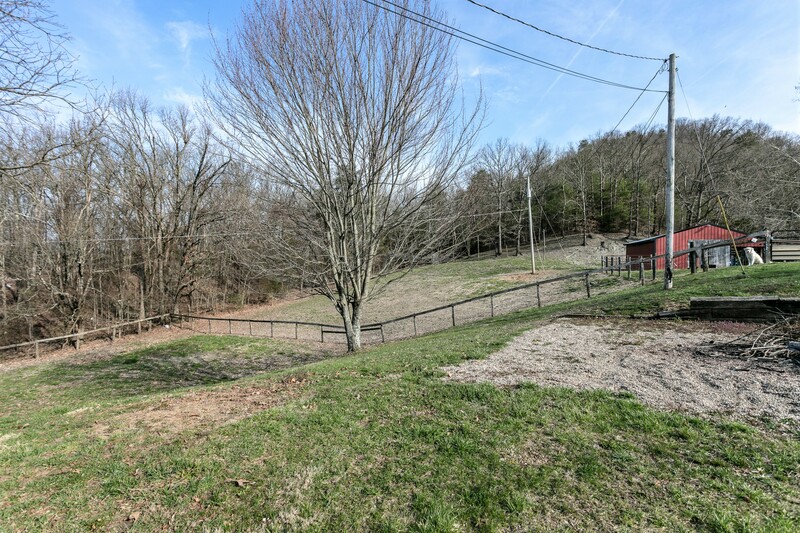 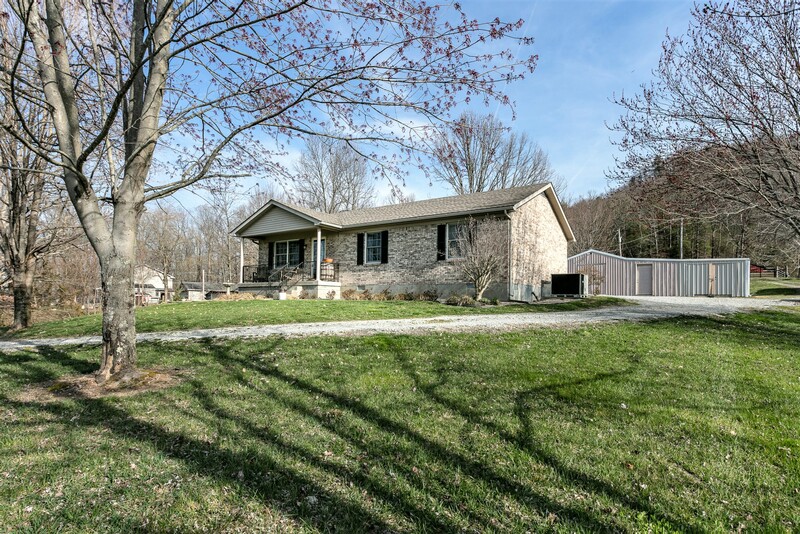 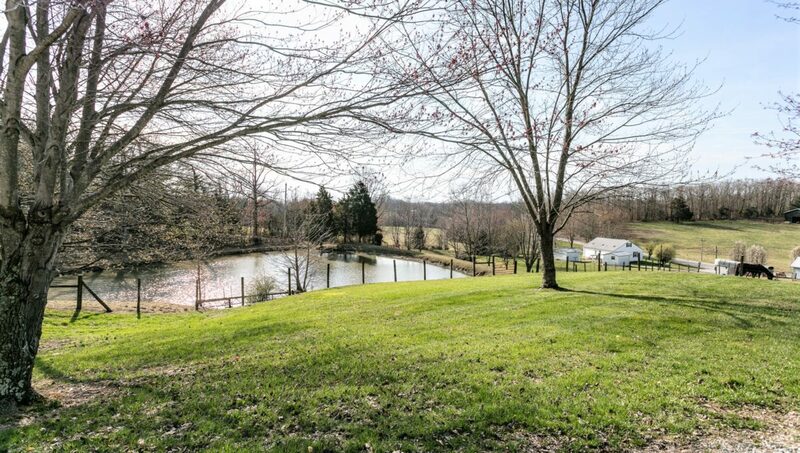 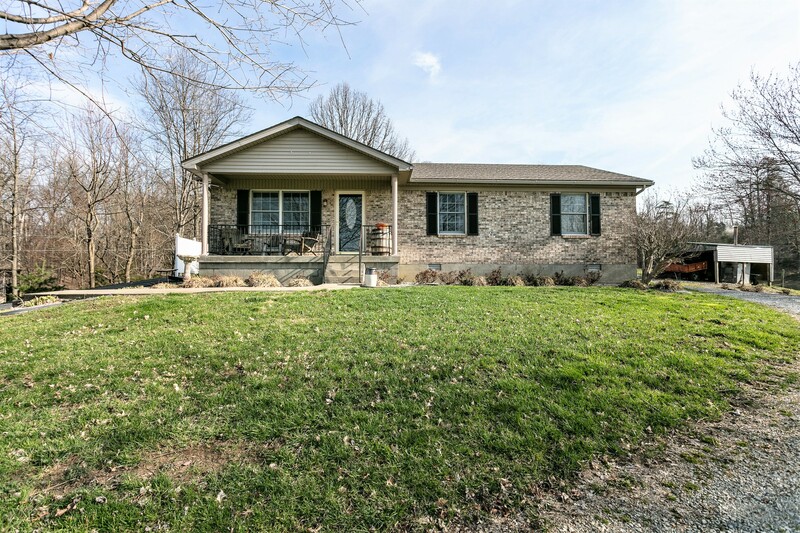 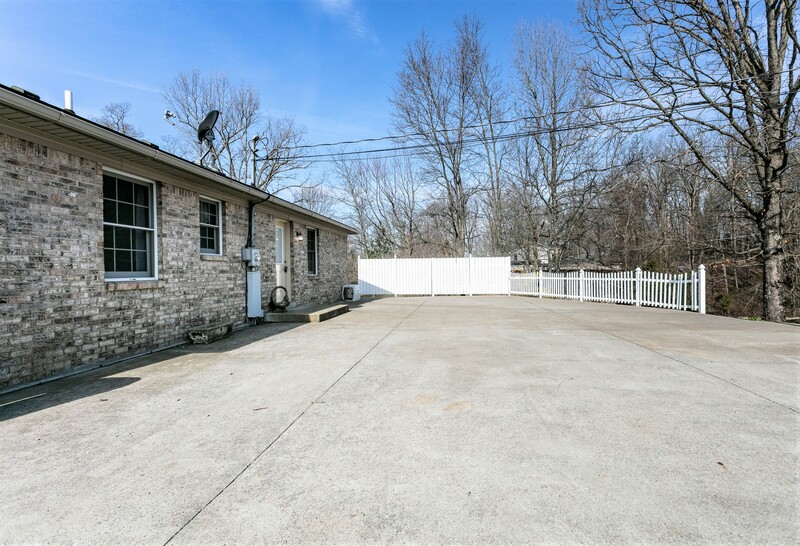 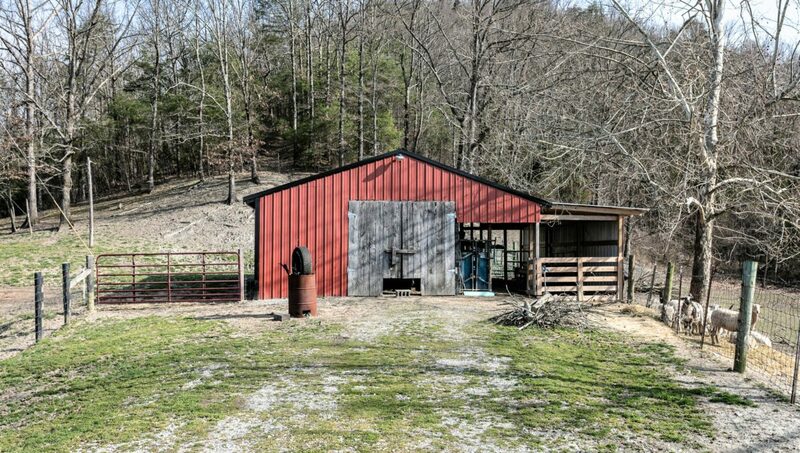 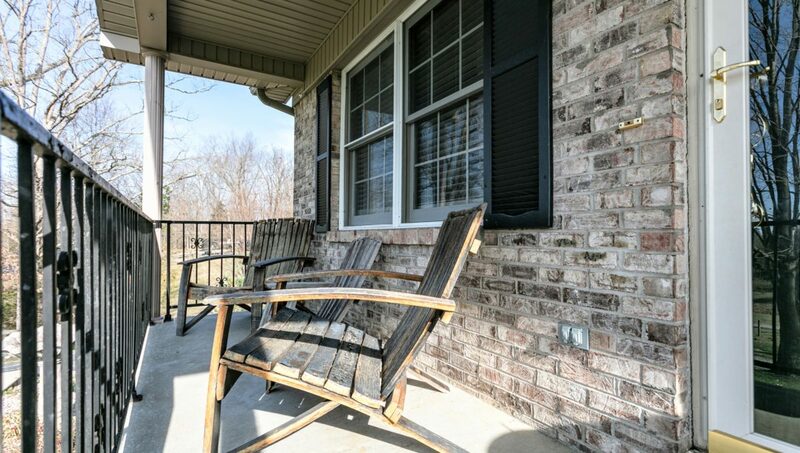 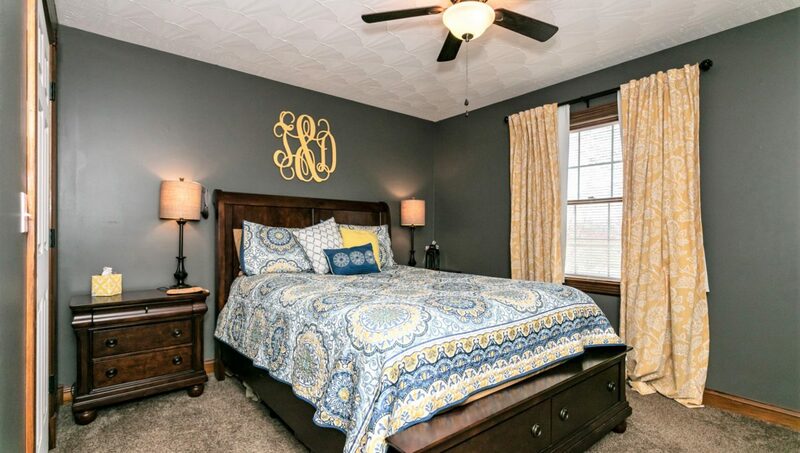 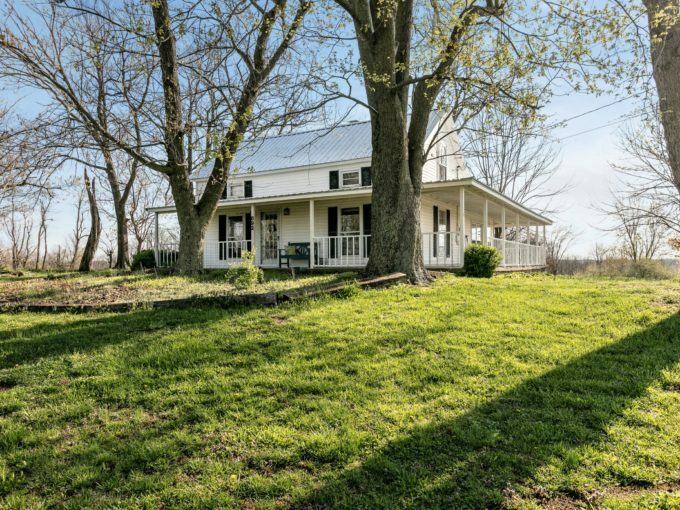 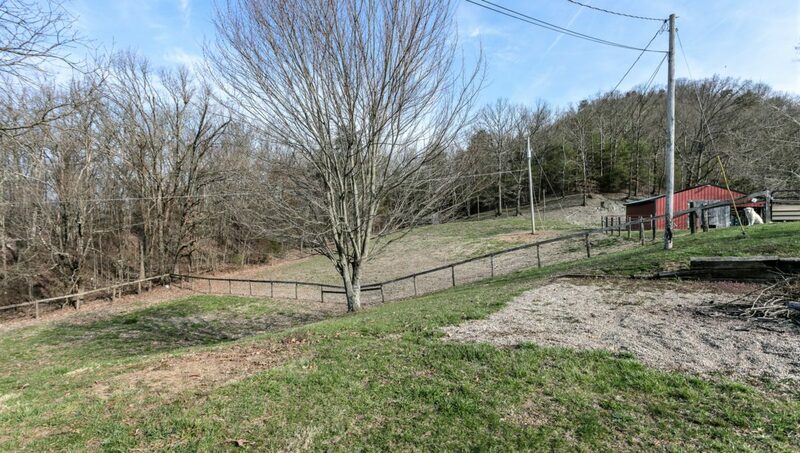 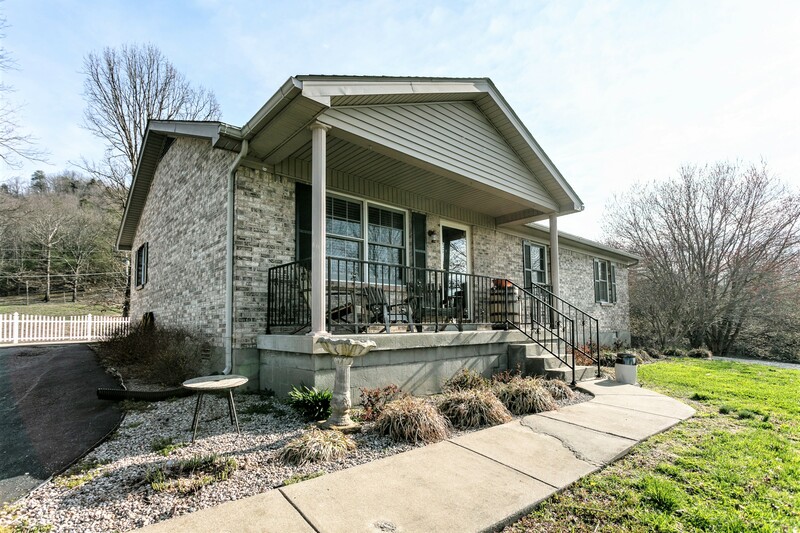 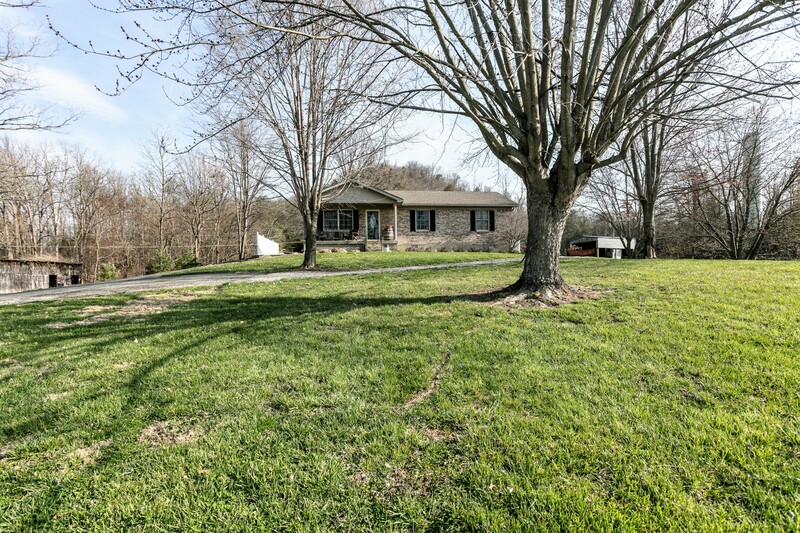 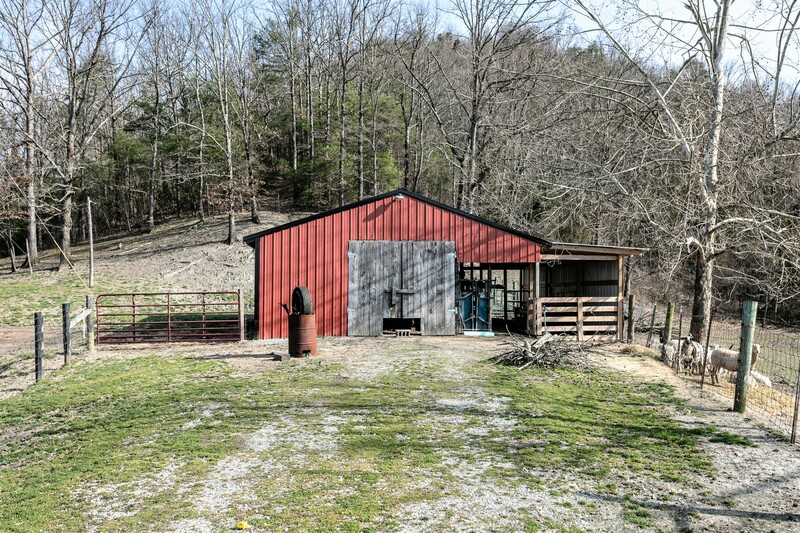 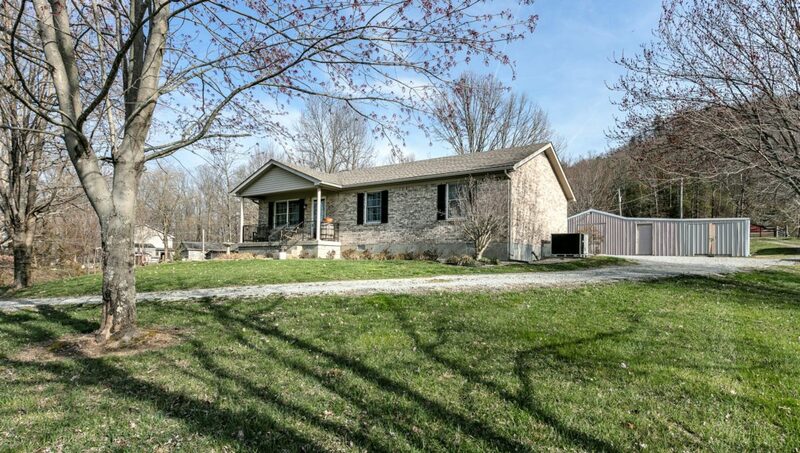 You just can’t beat the setting of this amazing property tucked away in the northwestern corner of Marion County conveniently located close to Loretto, Lebanon & Bardstown amongst the rolling knobs in beautiful central Kentucky! 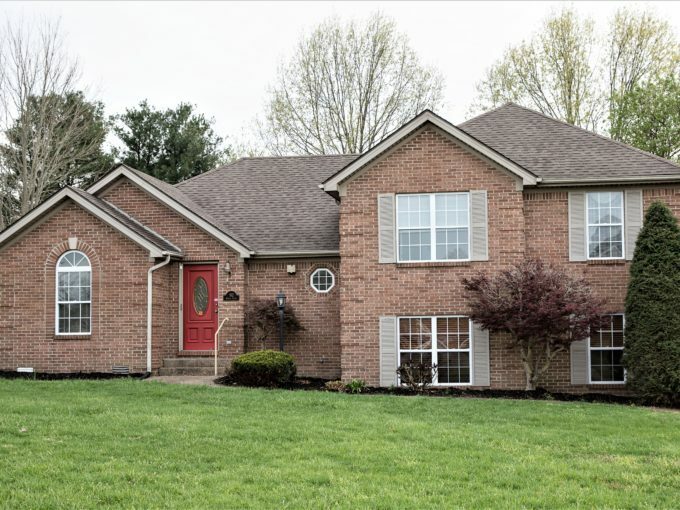 The long private driveway takes you back to this exceptional brick home perched atop a hill overlooking the gorgeous countryside featuring 3 bedrooms, a full bathroom w/ a European height vanity, a nice eat-in kitchen offering a decorative metal backsplash & plenty of cabinet space (includes the refrigerator, dishwasher, radiant top stove & built-in microwave)…The kitchen flows openly to the living room which makes it great for taking it easy with the family & engage in conversation while meals are being prepared…Plus a handy utility room off the kitchen! 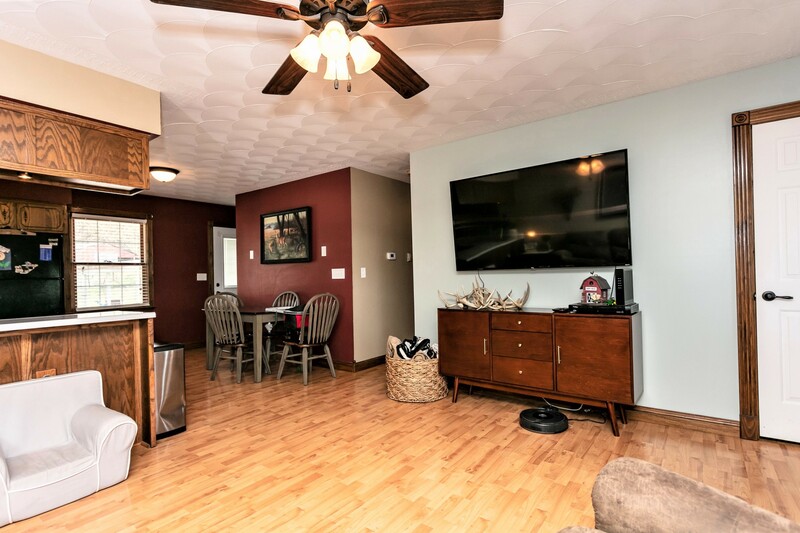 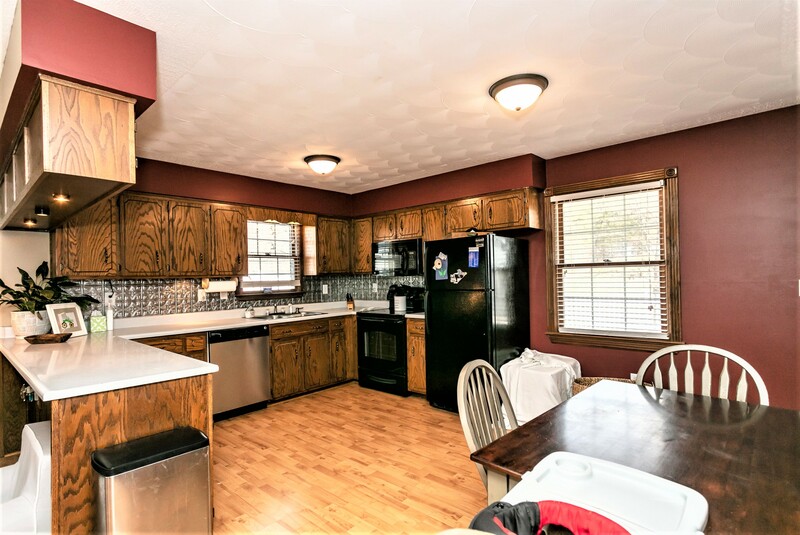 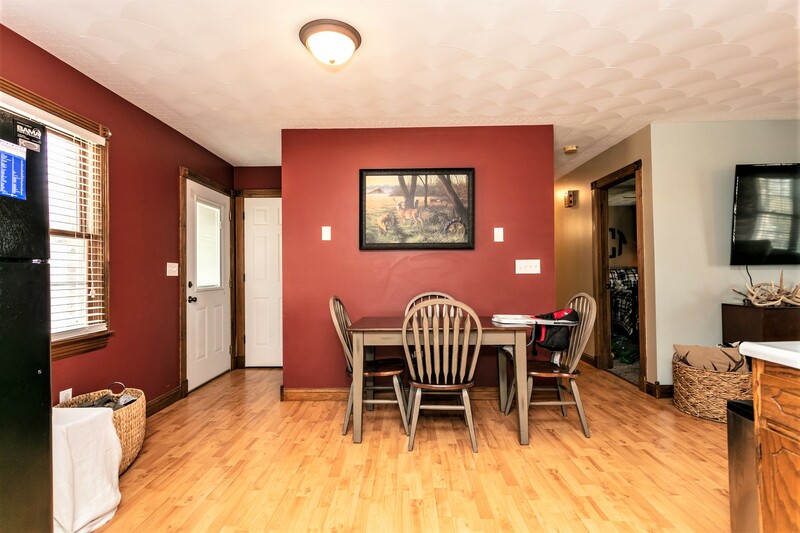 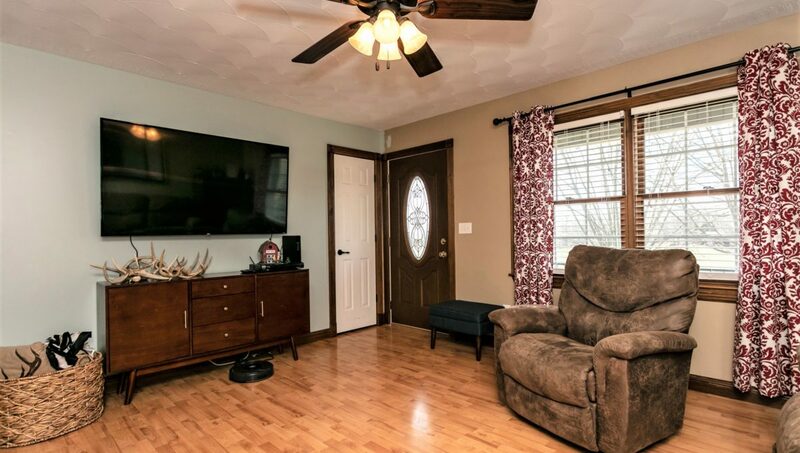 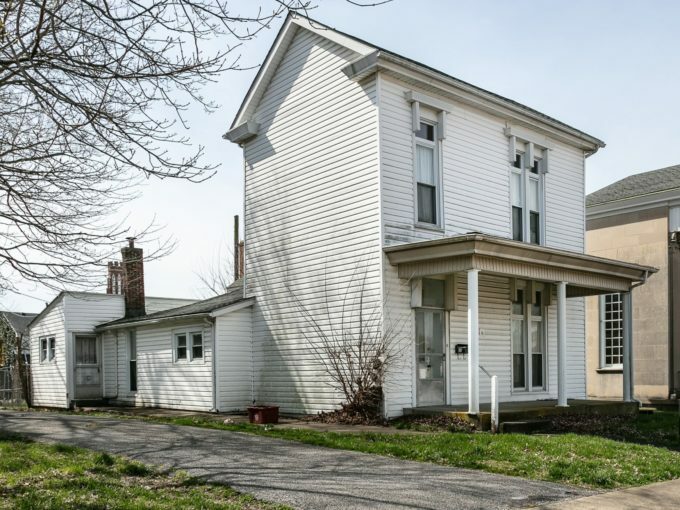 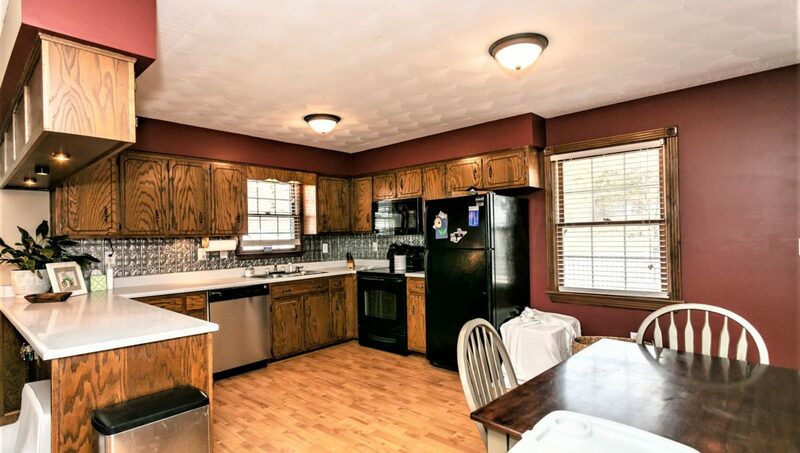 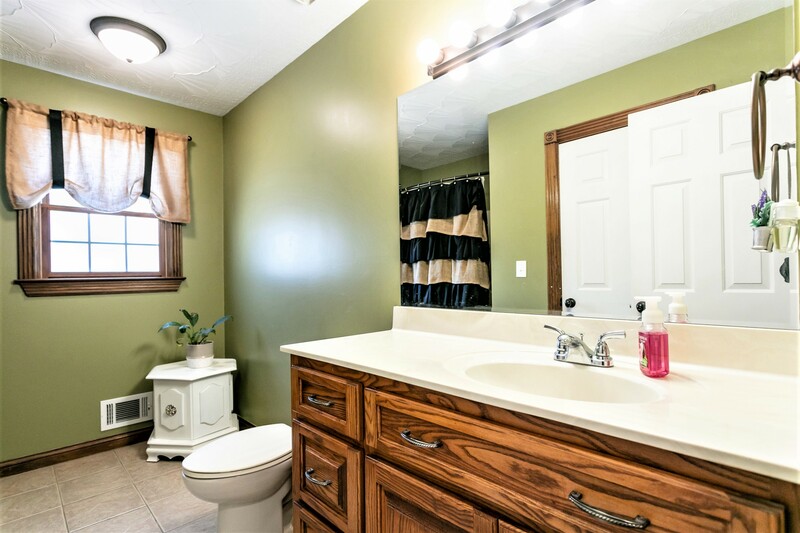 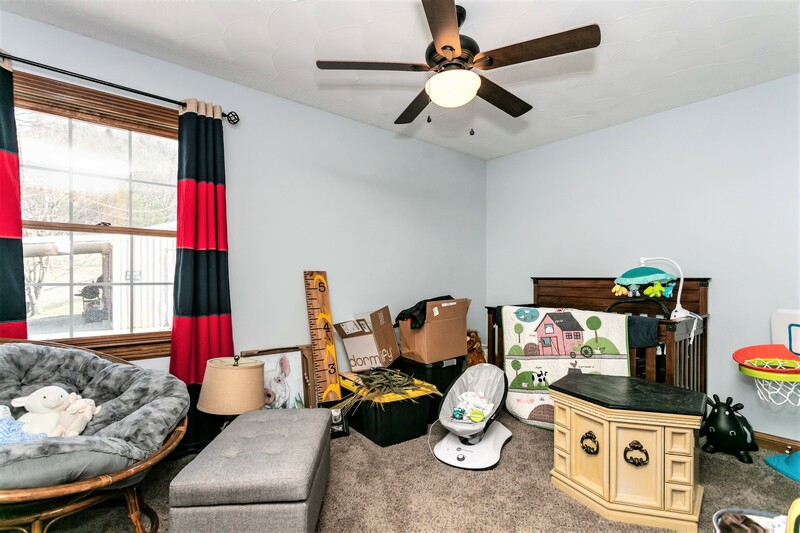 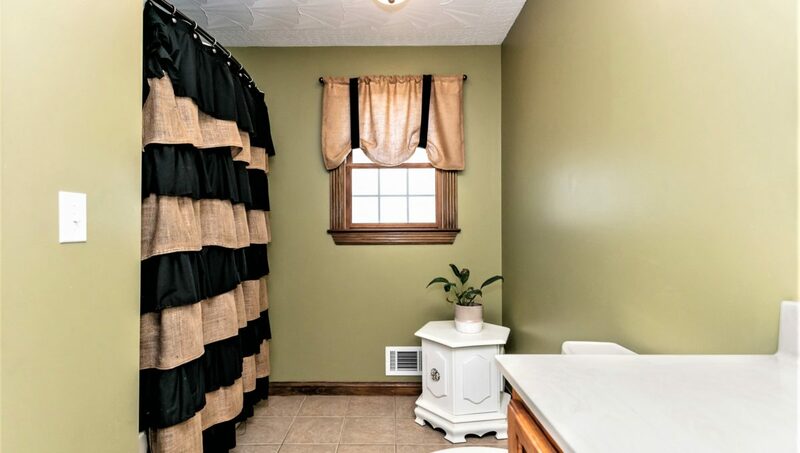 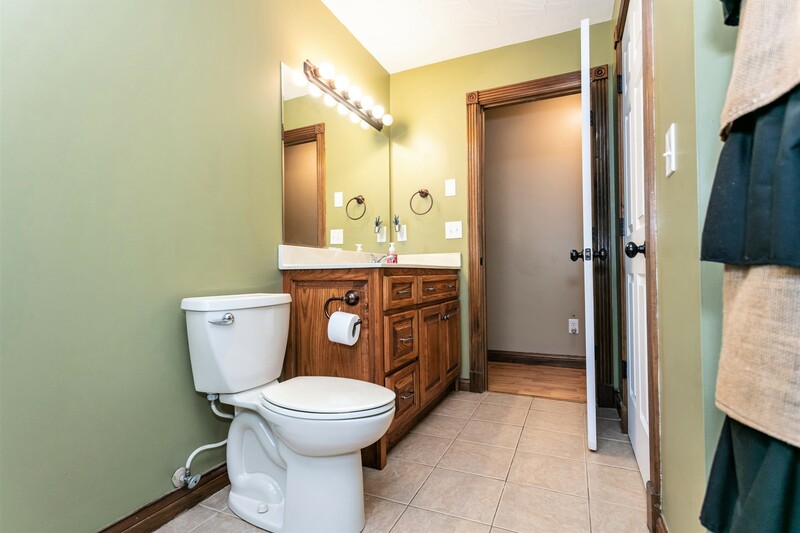 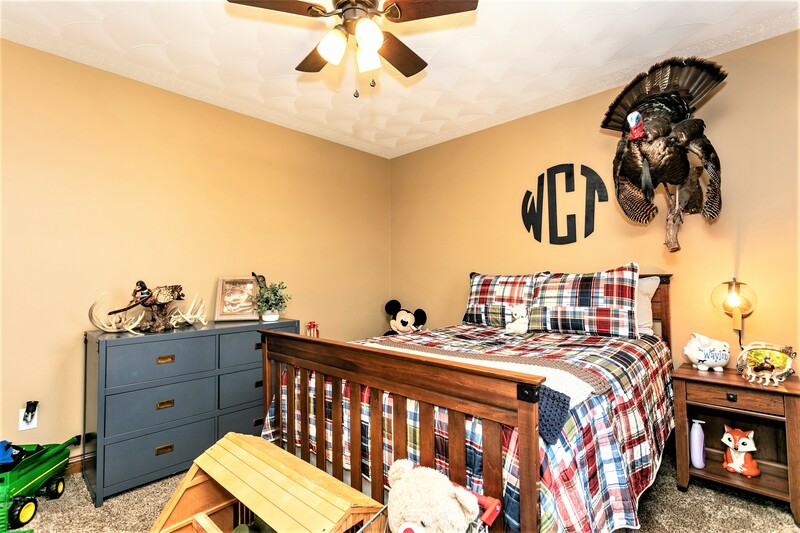 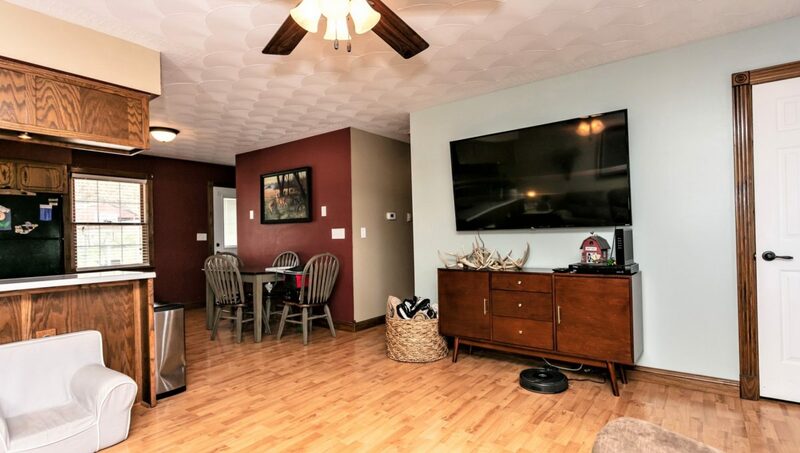 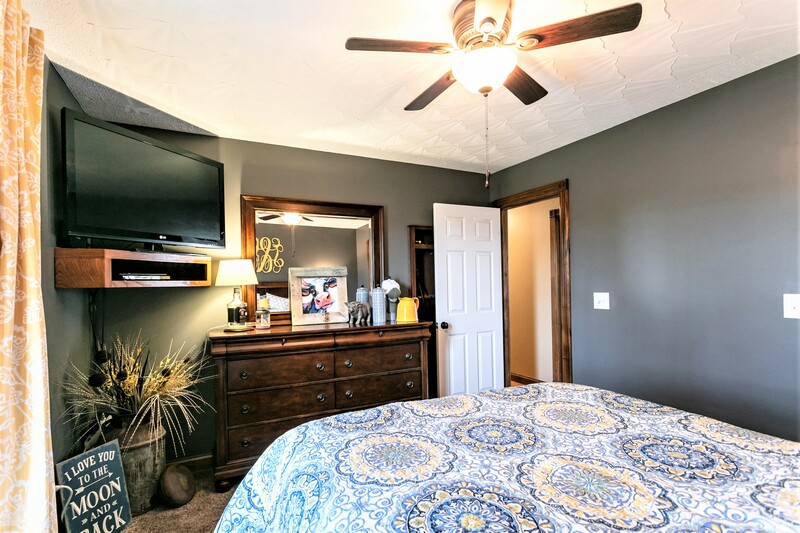 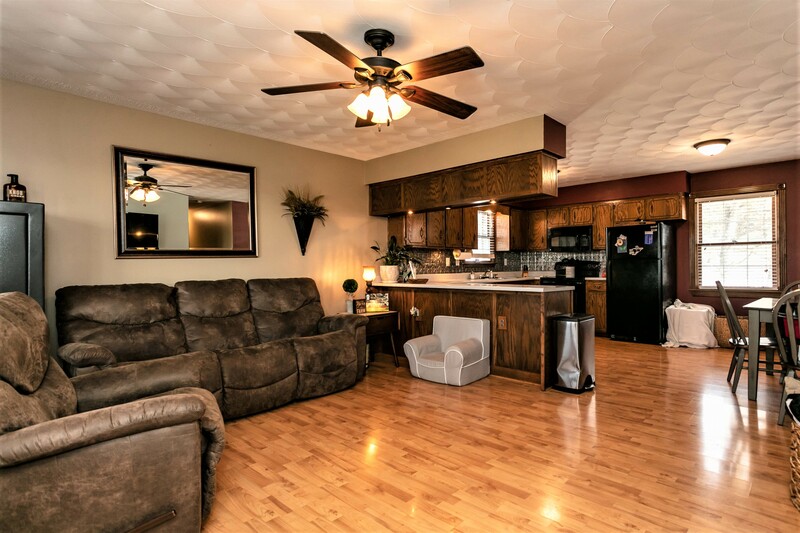 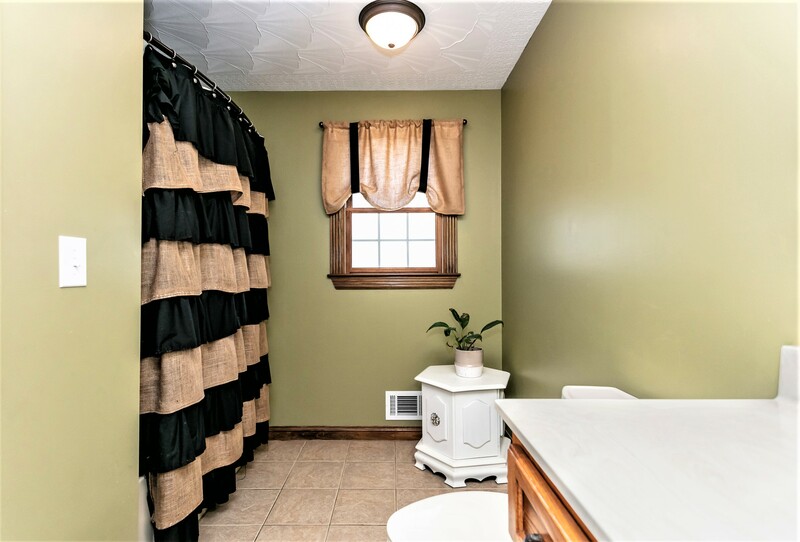 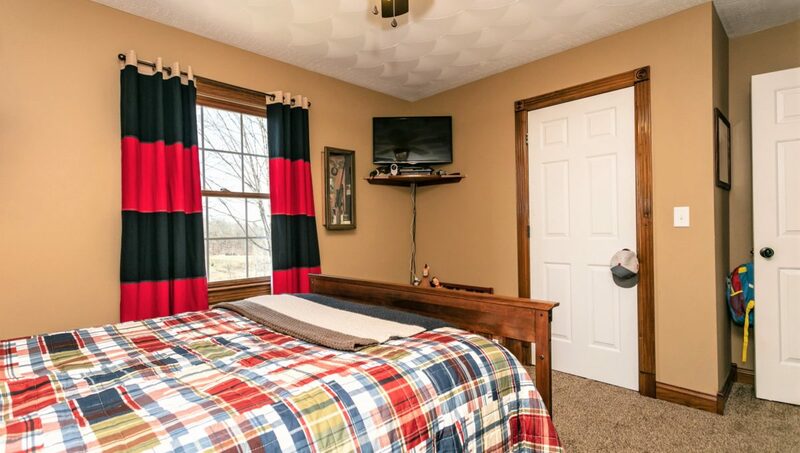 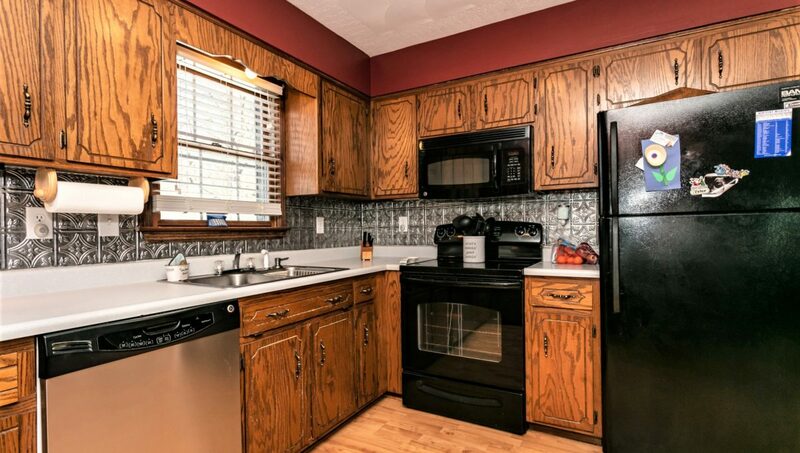 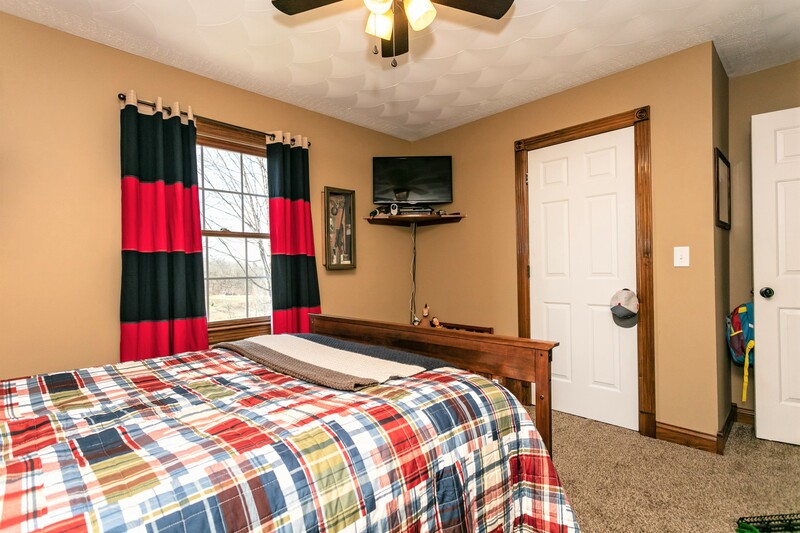 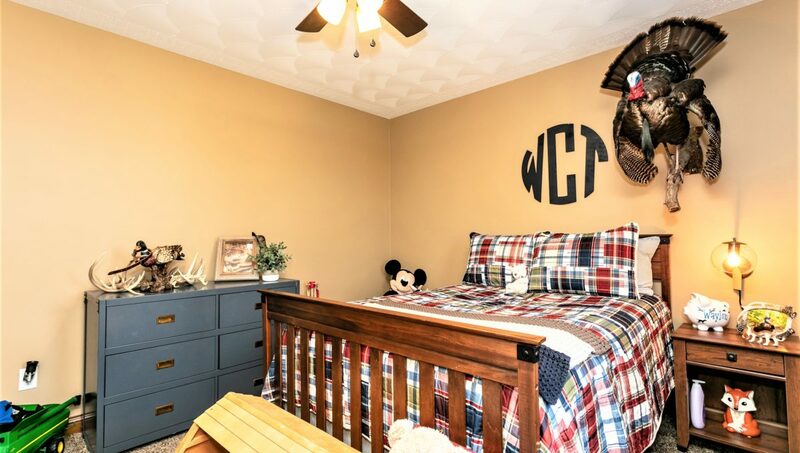 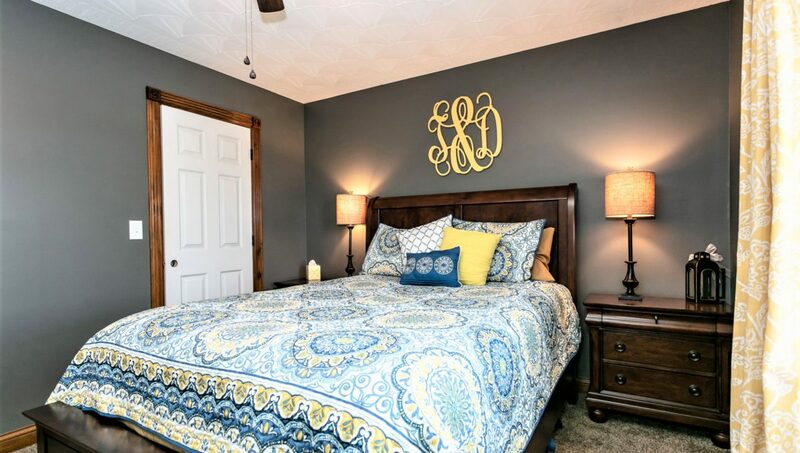 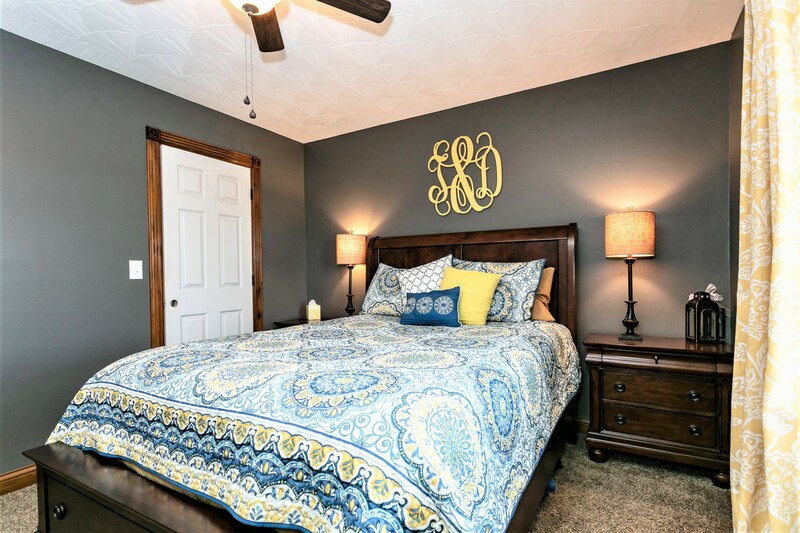 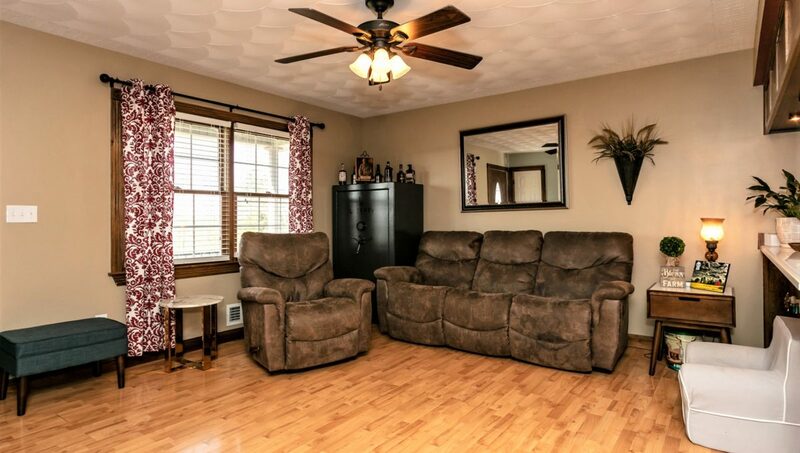 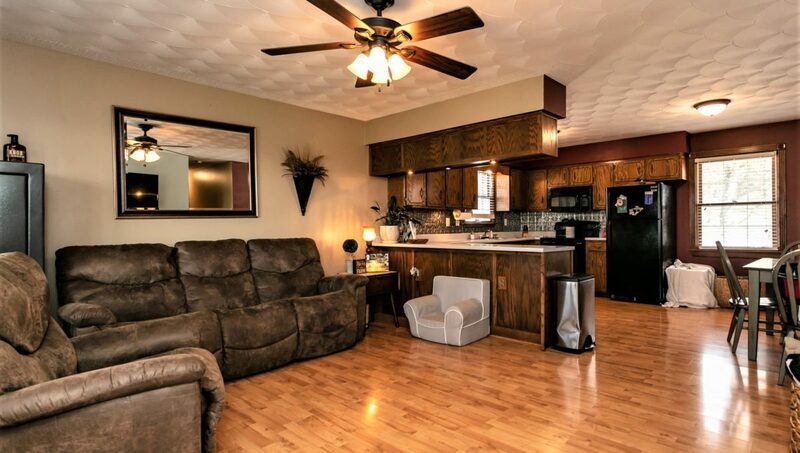 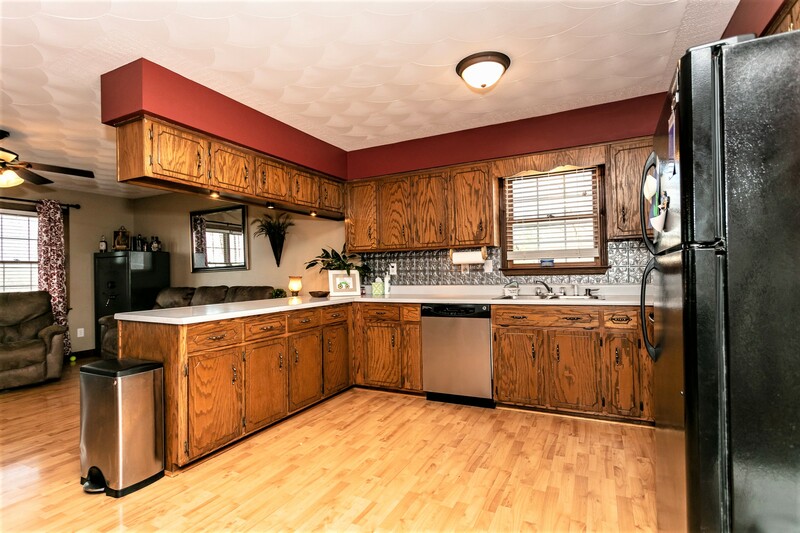 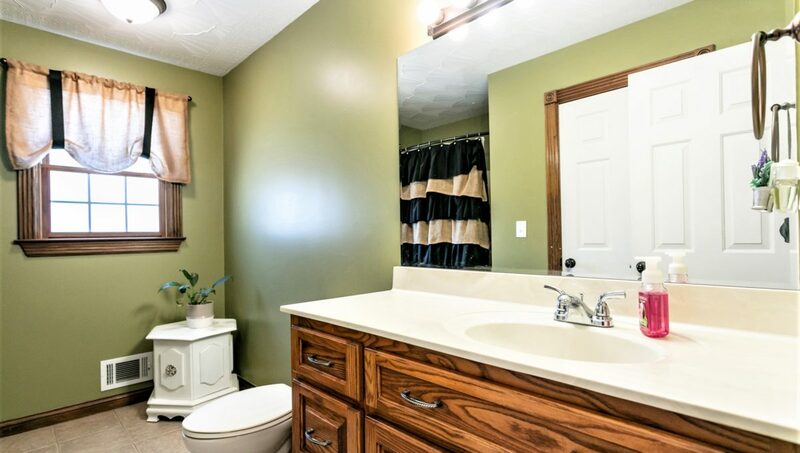 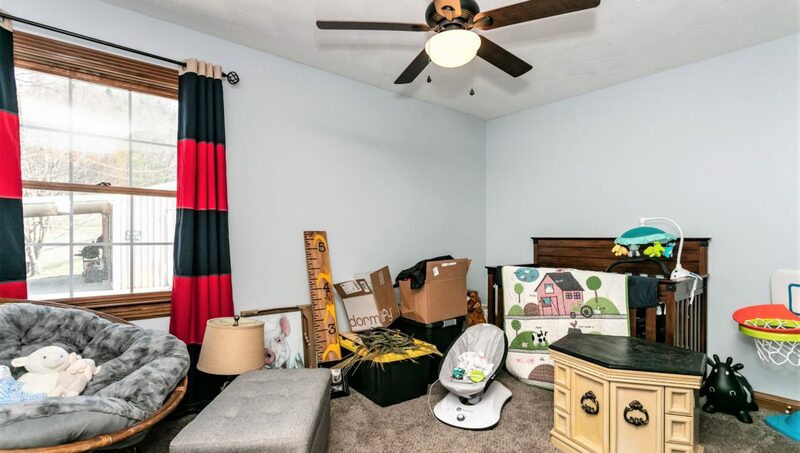 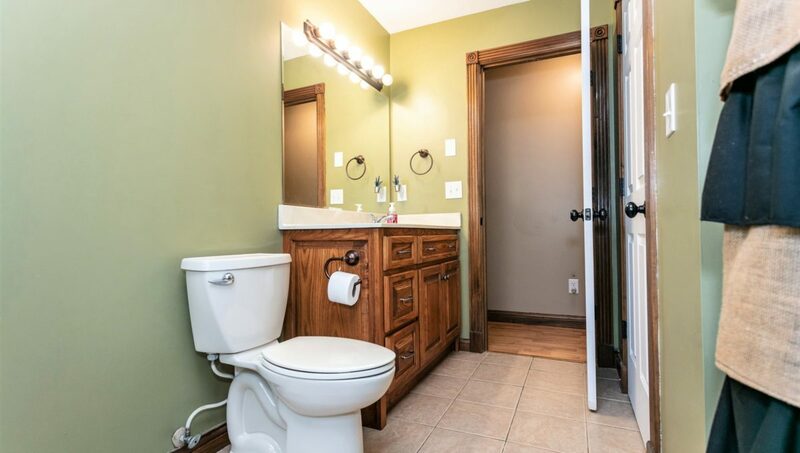 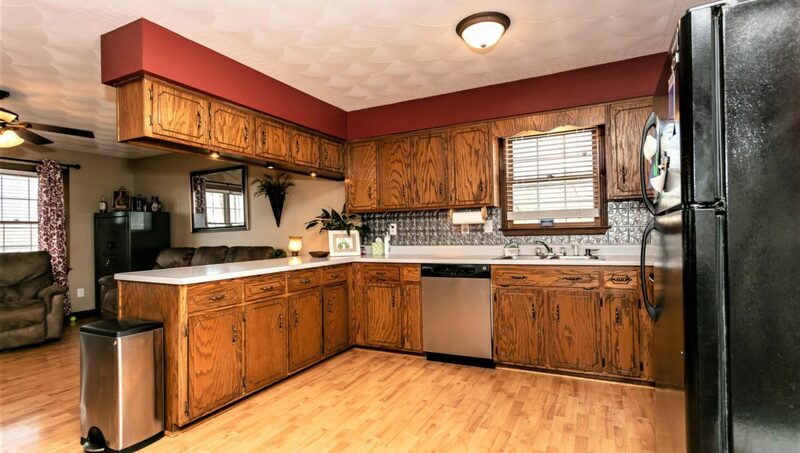 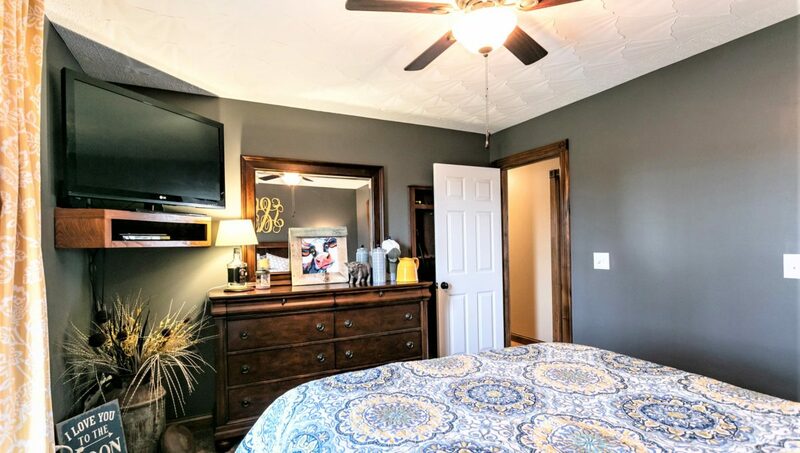 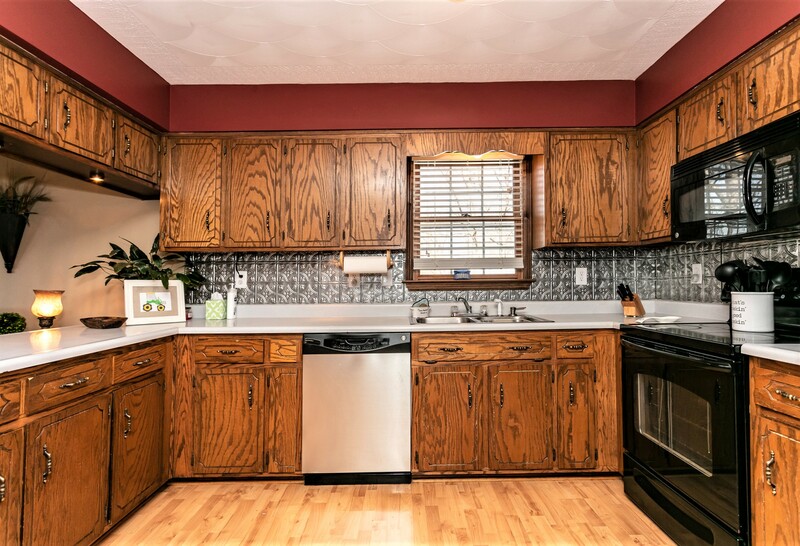 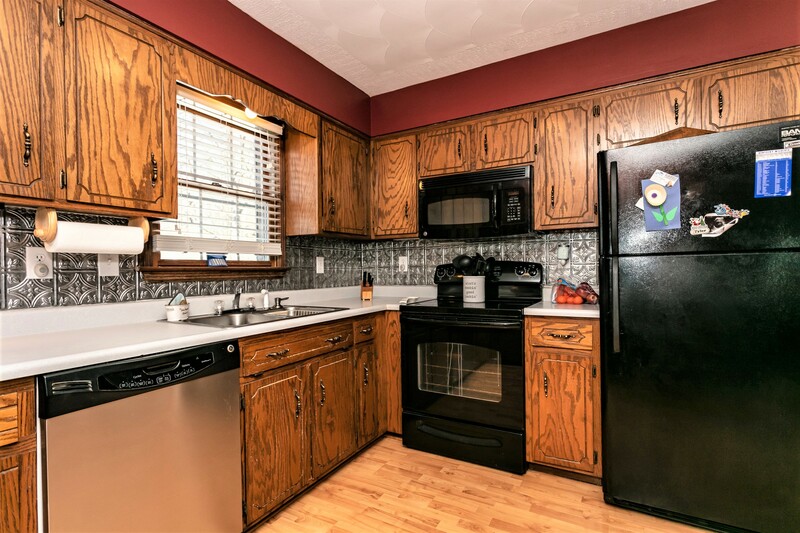 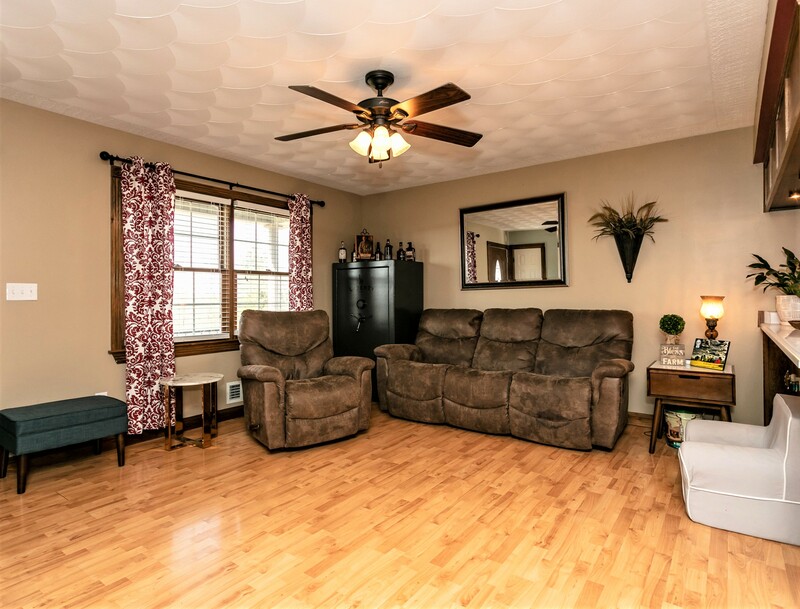 Inside you will enjoy a delightful palette of today’s modern colors, plush carpeting in all 3 bedrooms, ceramic tile flooring in the bathroom & woodgrain laminate flooring in the kitchen, living room & hallway! 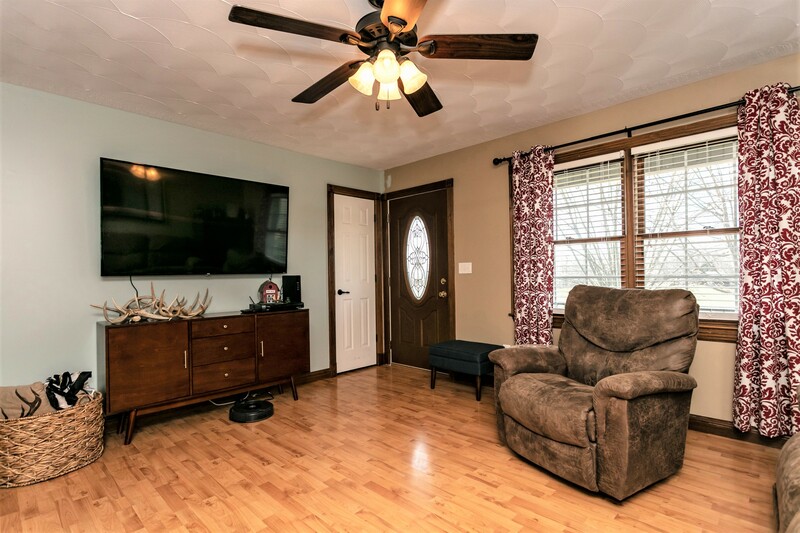 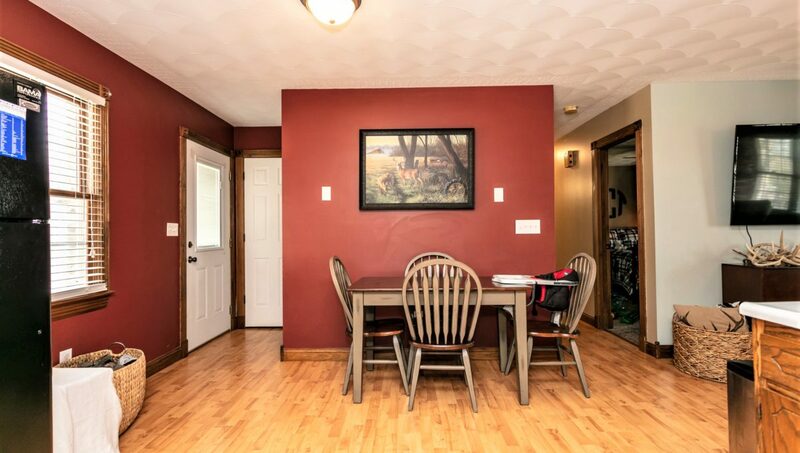 Central heating & air conditioning is provided by an electric heat pump…Or you can also heat the home with the outdoor wood stove…Combined with energy efficient double pane/double tilt windows for really low utility bills! 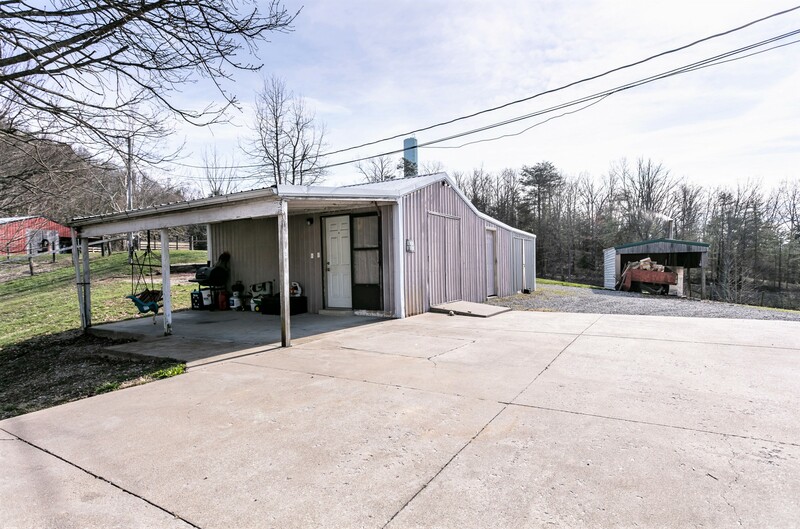 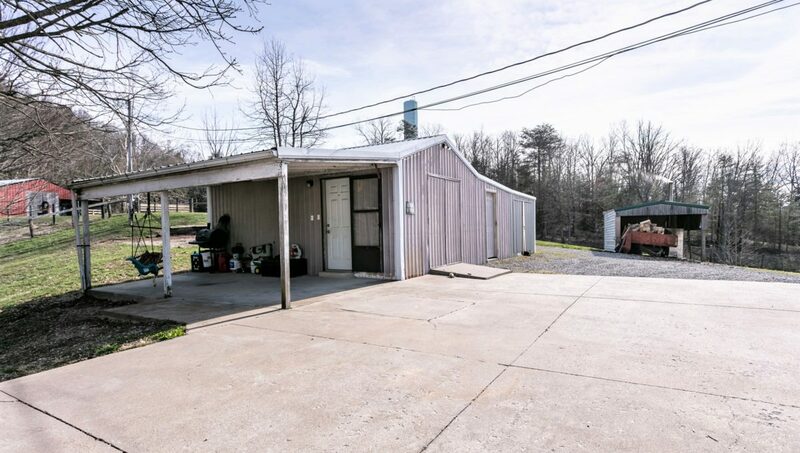 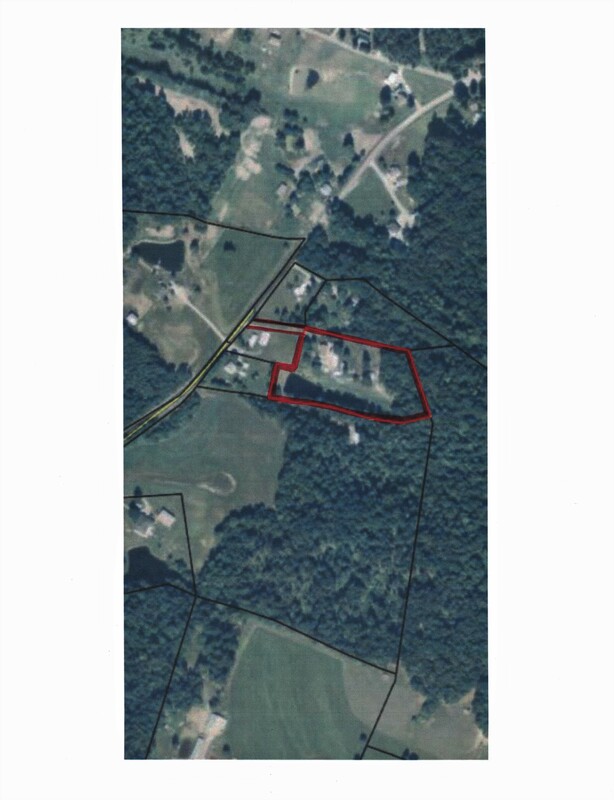 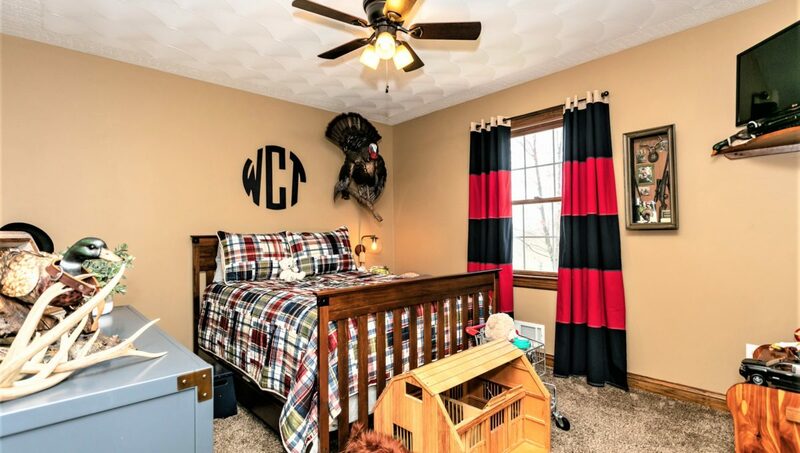 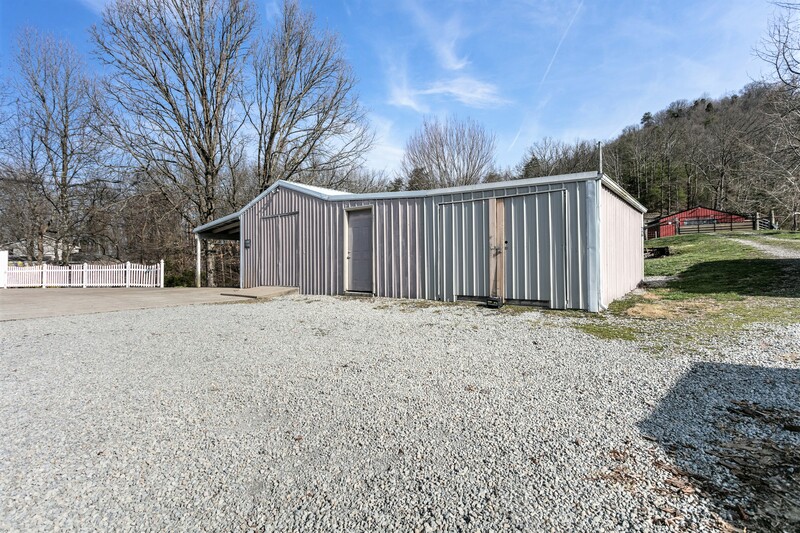 Outside is where this property really shines – 4.8235 acres (+/-) of paradise offering a 34′ X 30′ metal barn w/ water & electricity, a 20′ X 35′ metal storage building w/ a covered front porch, a 12′ X 16′ shed & a large pond stocked with lots of fish…Plus some woods in the rear of property, perimeter & interior fencing, a circular driveway w/ a large concrete pad in the rear of the home providing plenty of parking area, a covered front porch perfect for relaxing & taking in those awesome views…And so much more! 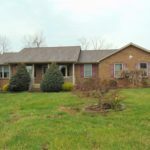 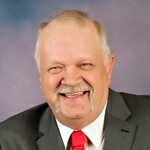 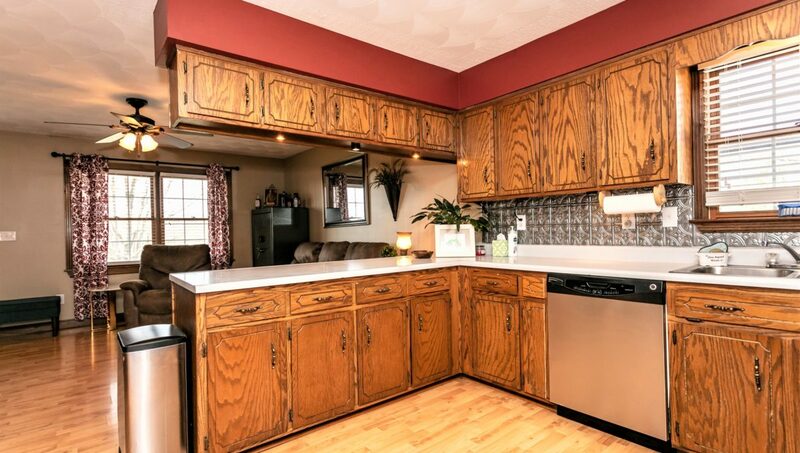 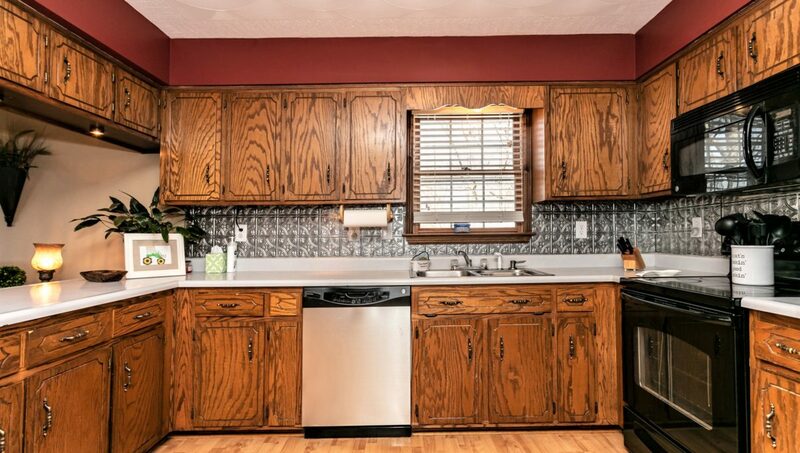 Call TOM BRAHM to see this slice of paradise!